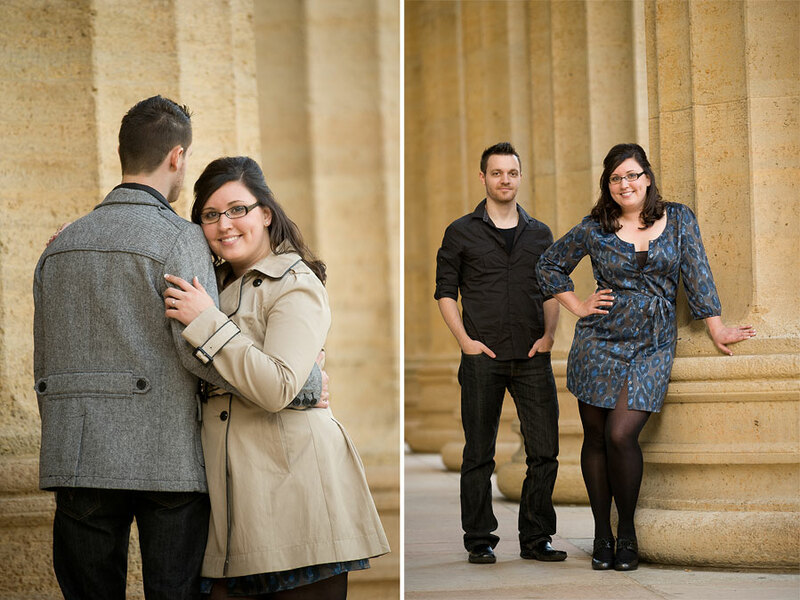 I met Erin about 5 years ago at Photography school in Philadelphia. There were a few things I first noticed about Erin when I first met her in college, she liked the same music as me, she looked super cute and nice, and she was oh so clearly in love with her boyfriend! After college Erin started her own photography business doing weddings and portraits, (She’s a very talented photographer) Her and Derek moved to Lancaster, and they got a puppy! I knew it wasn’t going to be long until Derek popped the question. Well when Derek popped the question to Erin, everyone else had a big question for Erin, “Well who is going to be YOUR photographer”? 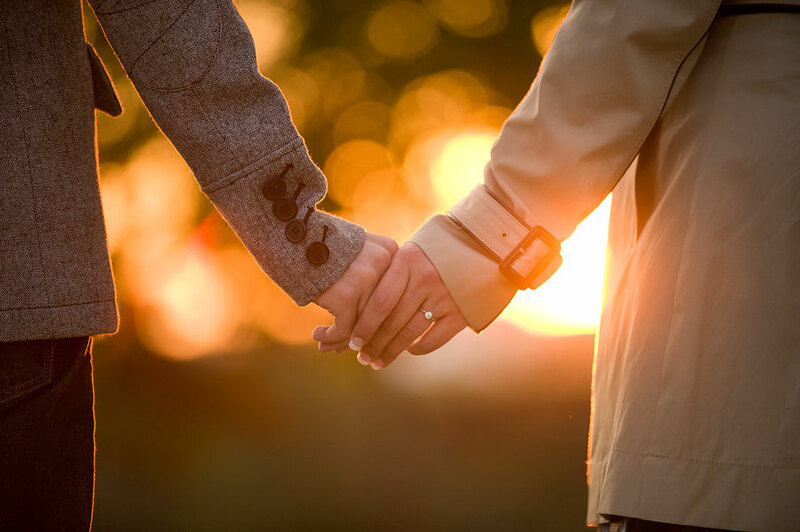 It’s a big question everyone asks when you’re a wedding photographer yourself. When I found out she was engaged I actually asked the same question and to my surprise she asked me! It honestly was such an honor to be asked. 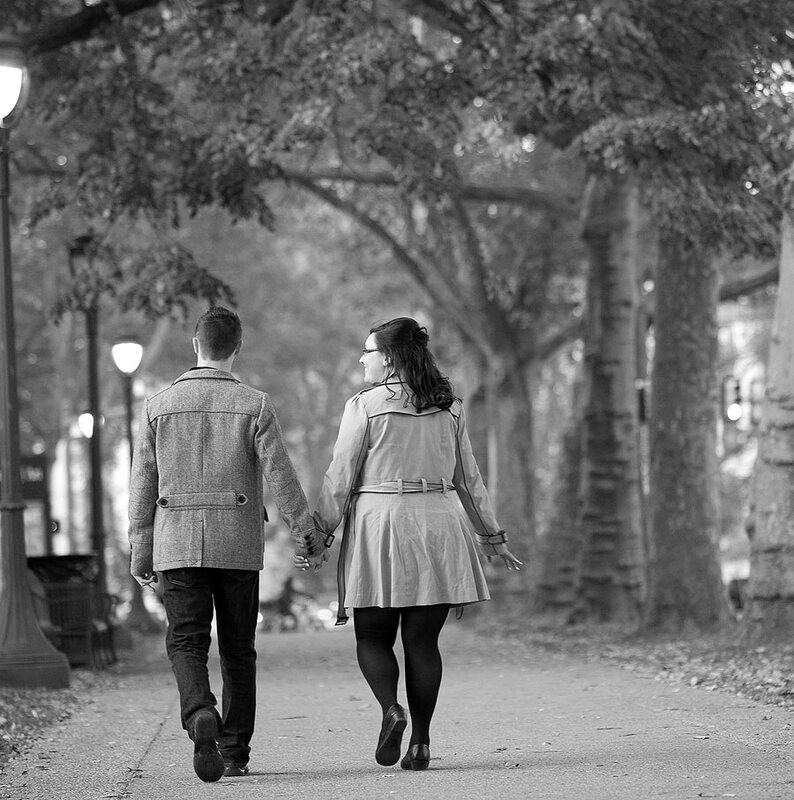 After our initial meeting we decided to photograph their engagement session in Philly! It only made sense, since the city holds a lot of early memories for the two of them! 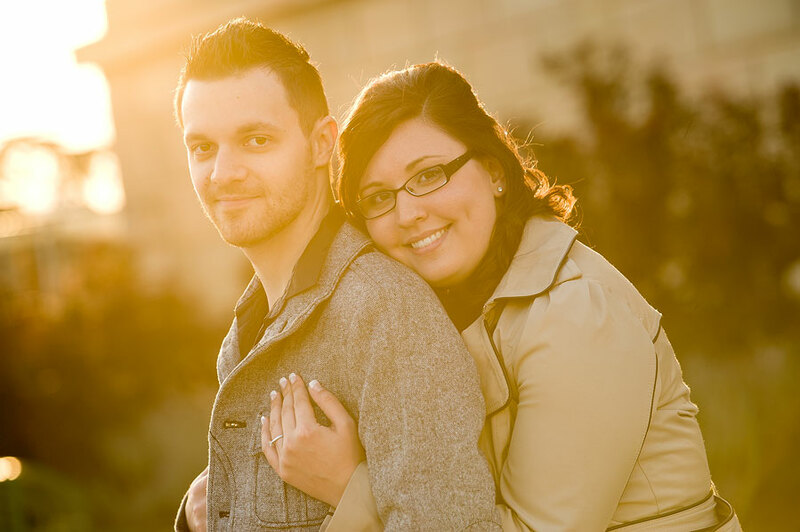 My favorite part of the session wasn’t the gorgeous light or the super cute interactions between Erin and Derek, but it was the drive to Philly. I loved our conversation and bonding time!! 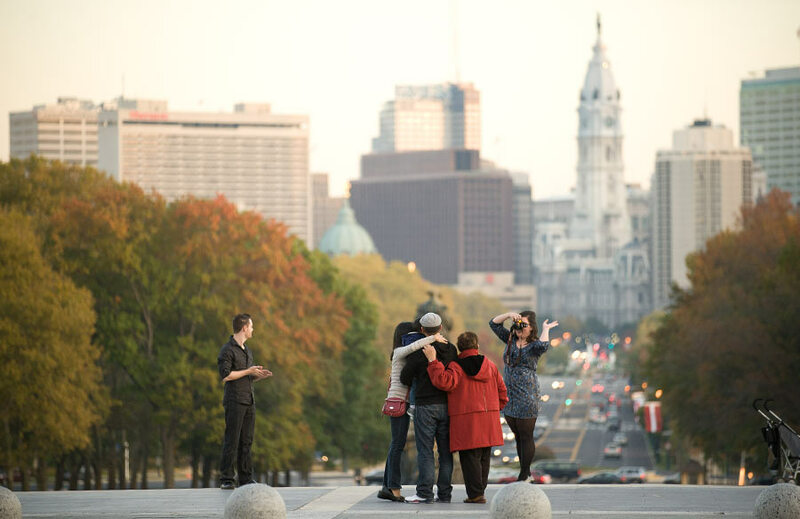 My other favorite part of the session was when a family asked Erin if she could take a photo of them in front the art museum! It was like they hit the jackpot and didn’t even know it!! Congrats Erin and Derek on your engagement! I honestly can’t wait for your wedding! These are amazing pictures …. 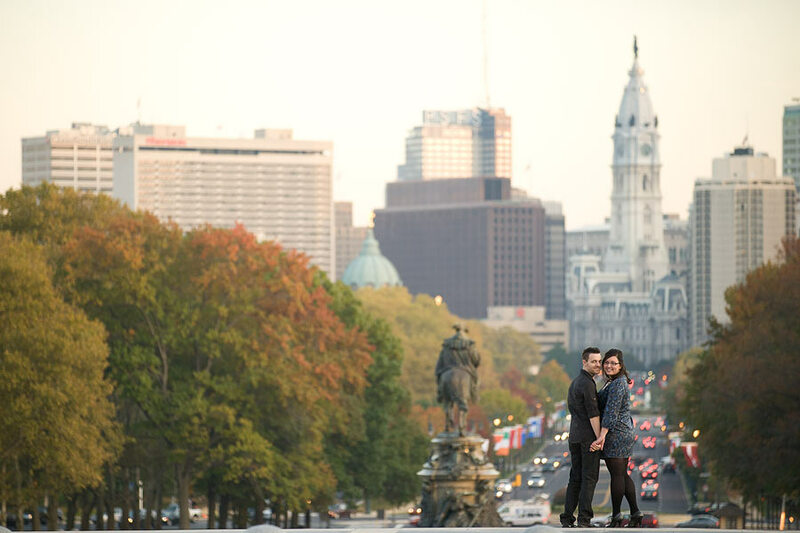 I can’t wait to see what Lauren brings to the table the day of the wedding..
Great shots Lauren – love the feel of the images with Billy Penn in the background!